Centre Gives, a 36-hour online giving event that starts at 8AM Tuesday, May 9 and runs through 8PM on Wednesday, May 10, is designed to highlight the positive work of nonprofits in Centre County. As Habitat for Humanity of Greater Centre County celebrates recently adding a new family to our fold, we’re gearing up for more! We are currently spreading the word about our program and the opportunity for affordable homeownership it provides. We are accepting and reviewing applications with a goal to rehab one home in the second half of 2017, and start building a new home in 2018! But we need your help. You can tell others about our program and encourage families that you think might be interested to learn more. You can also support us with a Centre Gives contribution. 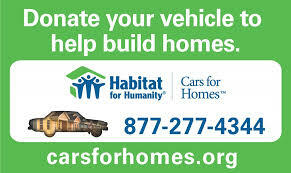 Your donation goes further when made during Centre Gives because it can qualify Habitat for Humanity of Greater Centre County for a larger share of the amazing $200,000 stretch pool and additional prizes. Anyone may make a secure, online gift with a minimum donation of $25. The work Habitat for Humanity does in our community is needed now more than ever. Housing costs continue to rise, and more and more hardworking families are finding it all but impossible to secure affordable, stable options for homeownership. We’re hopeful that you’ll support us during Centre Gives in our efforts to continue building houses and building hope.